The woman was feeling unwell with respiratory problems believed to have been caused by anaphylactic shock. A WOMAN SUFFERING from a jellyfish sting has been taken to hospital after being transported from an island off West Cork this afternoon. 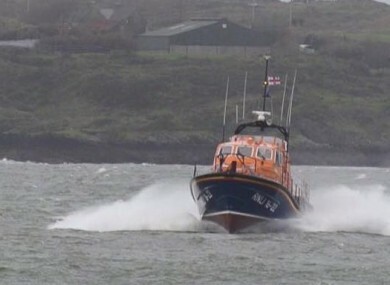 The local lifeboat crew, based at Baltimore, were called out to respond to the incident on Sherkin Island. According to a Facebook post from the crew, the woman was feeling unwell with respiratory problems believed to have been caused by anaphylactic shock brought about by a jellyfish sting. The lifeboat picked up the casualty at Sherkin Island and dropped her to the care of HSE paramedic team and HSE ambulance crew who were waiting at Baltimore Lifeboat Station. One of the world’s most dangerous jellyfish, the lion’s mane, has been spotted in Irish waters in recent weeks – with sightings off the coasts of Dublin and Galway, as well as Cork. While the larger variation of the jellyfish can be deadly, the ones found in Irish waters are comparatively small, expert Pat Ó Suilleabhain of The National Sea Life Centre in Bray told us last week. The stings are quite painful. It can be irritating and blister and some people end up with muscle cramp. While they are rare, respiratory and heart problems can happen in some cases, he said. The jellyfish only have a lifespan of a year, but dead ones can still sting, so Ó Suilleabhain recommended staying well clear if you should see one washed up on a beach. If you see one, swim away. The water is their natural habitat, not ours, but we’re much stronger swimmers. “The first thing you should do is rinse the sting with sea water. Peeing on it does absolutely nothing. Then, apply a dry cold pack to the area – like ice cubes in a plastic bag wrapped in a t-shirt. If it doesn’t improve, then seek medical help. Email “Lifeboat called out to respond to woman with jellyfish sting ”. Feedback on “Lifeboat called out to respond to woman with jellyfish sting ”.